Lately I have been feeling like my life lacks color. You know what I mean? That everything around me is brown. 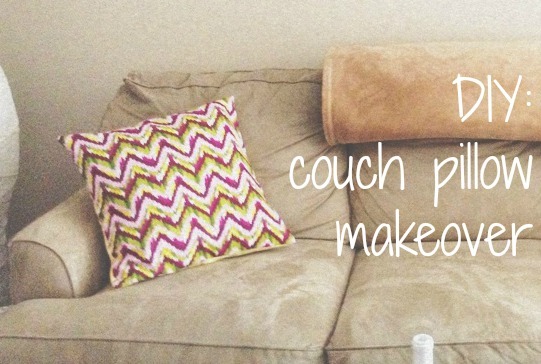 My walls, my furniture, my couch, my floor. What's a girl to do? Sew pillows of course! Tip: If using same fabric for whole pillow you will need 1 1/2 yard for two 18.5" pillows. 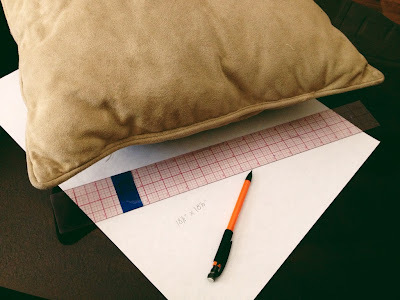 Measure your pillow and write down your measurement. Mine was 18.5" x 18.5". Use your drafting paper to make pattern. 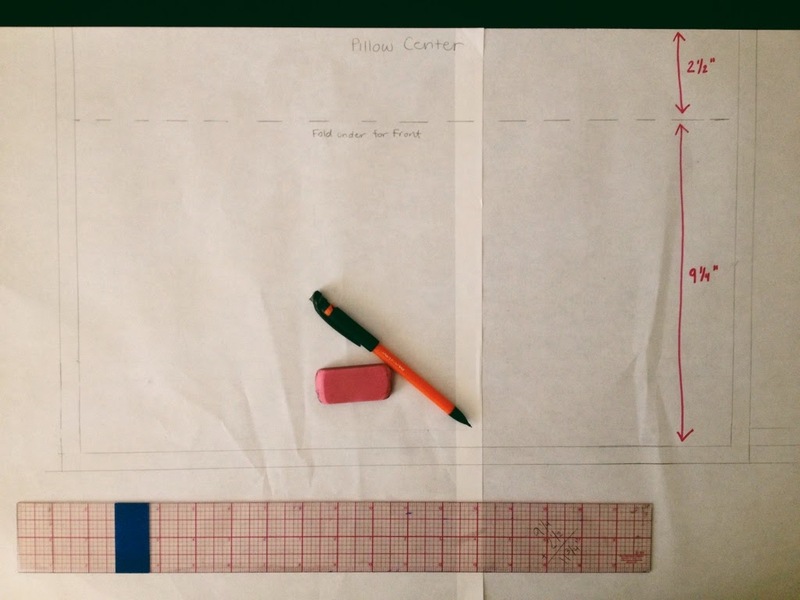 Take measurement from one side, divide in half and add 2.5". For example my pattern is now 18.5" x (9.25"+2.5"). 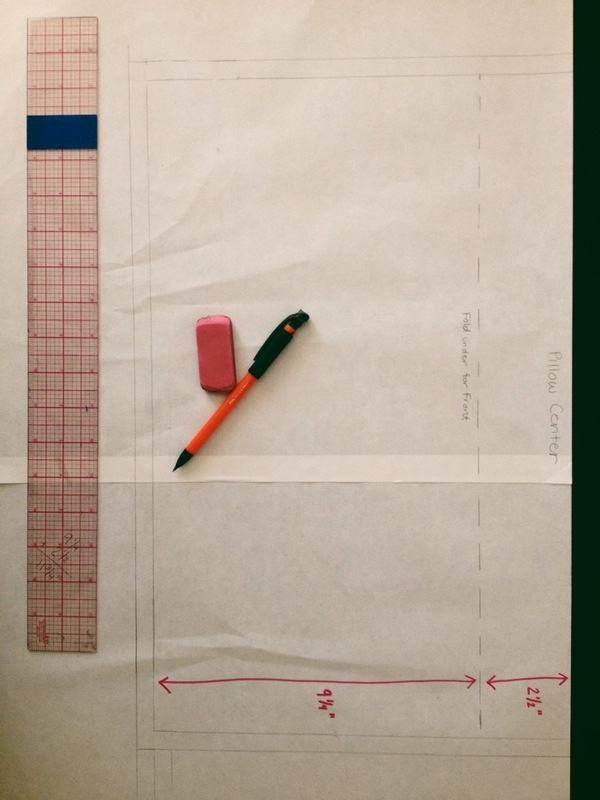 Draw your rectangle using straight edge of paper as top of pattern (easy trick). 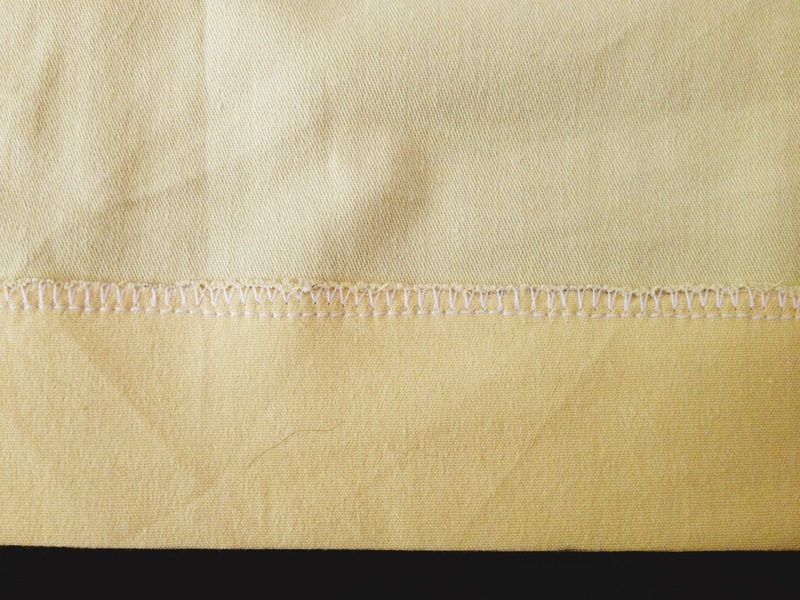 Draw dotted line 2.5" from top edge (you will fold on this line for front piece). Add 1/2" seam allowance on the 3 sides (excluding the top). Cut two of unfolded pattern piece out of back fabric. Fold on dotted line. 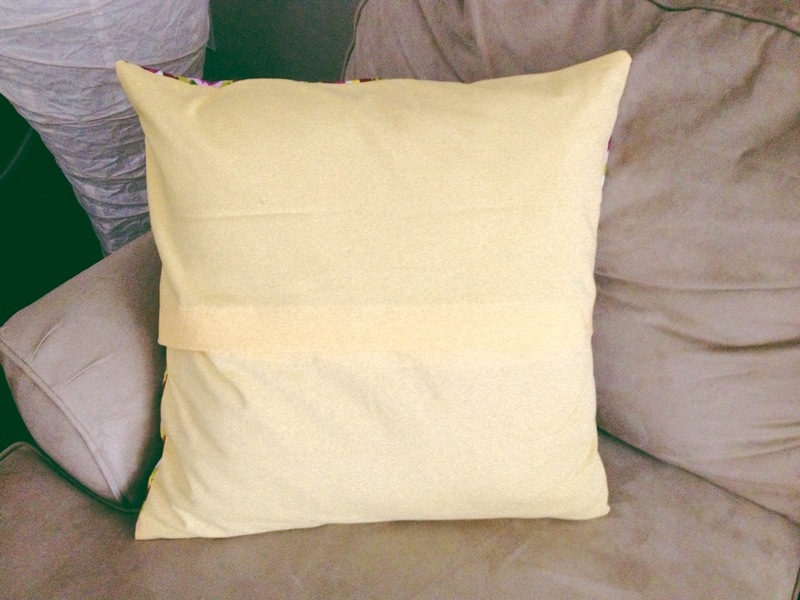 Using fold for center of pillow, trace the bottom 3 sides, flip piece on folded line and trace three sides again. Warning! Do not trace folded line or you will have a line up the middle of your fabric. 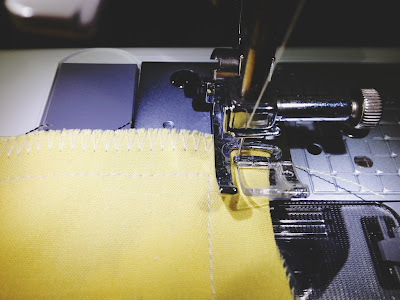 Zig-zag stitch one long edge of your back fabric (or you can use a serger). 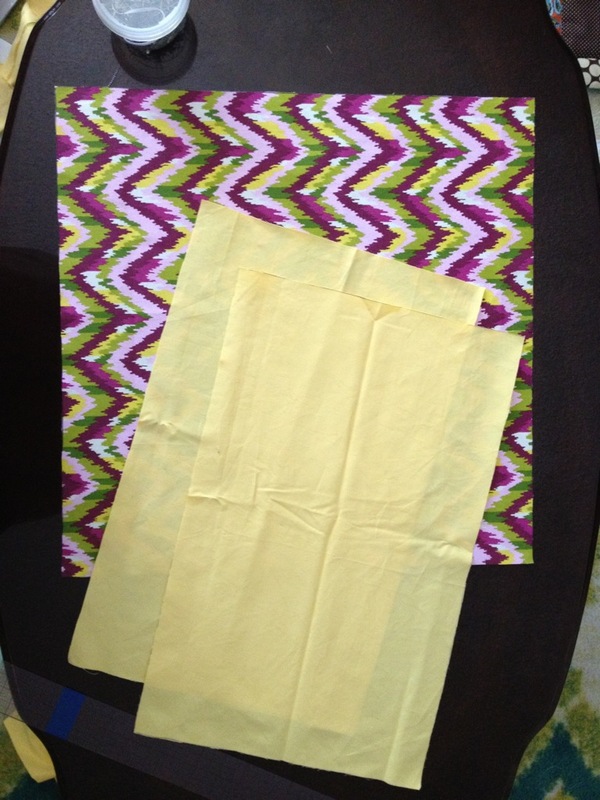 Fold to wrong side 1.5" and iron (or in my case, use a hair straightener). 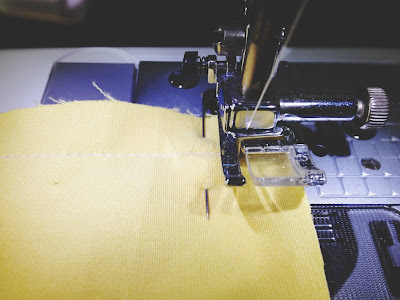 Stitch down. This makes one side of the back opening. Repeat on second back piece. 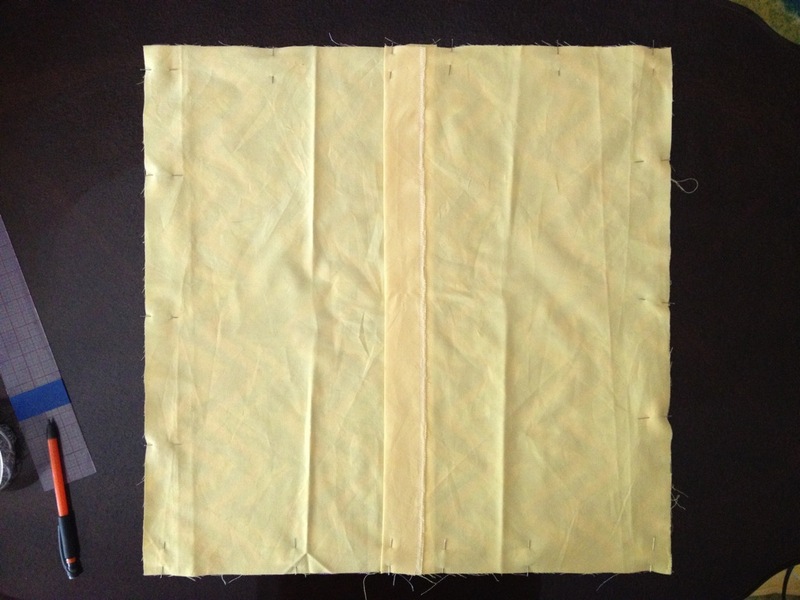 Place both front and back pieces right sides together (opening will overlap). Sew all the way around at 1/2". Zig-zag (or serge) the edge all the way around. 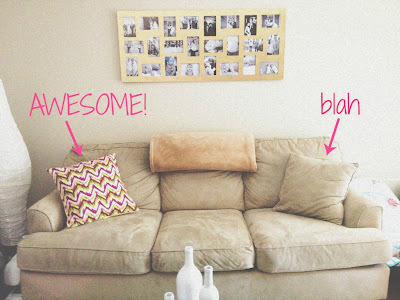 This make a nice clean edge that wont fray. Turn right side out and Iron flat. Optional: Sew 2 button holes and buttons to keep the opening together better. Not necessary but it could be cute with coordinating buttons. I'm sure ill get around to it! 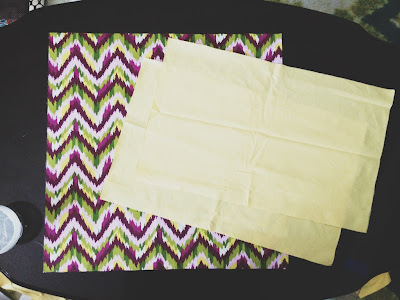 How in the WORLD do you have time to sew with twins?! Jealous. And SO doing this project. Thanks!